For the past few years Gamblin, the artist’s oil paint company, has sponsored a painting competition. The competition focuses on Torrit Grey, a color Gamblin makes by combining all the pigment caught in the Torit-Donaldson filtration system Gamblin uses to keep the air clean from the (sometimes toxic) pigments. Basically Torrit Grey is a combination of all the colors Gamblin produces. The resulting grey is rather dull & it’s hard to believe it’s the synthesis of all the (or a good part of the) spectrum made by Gamblin. 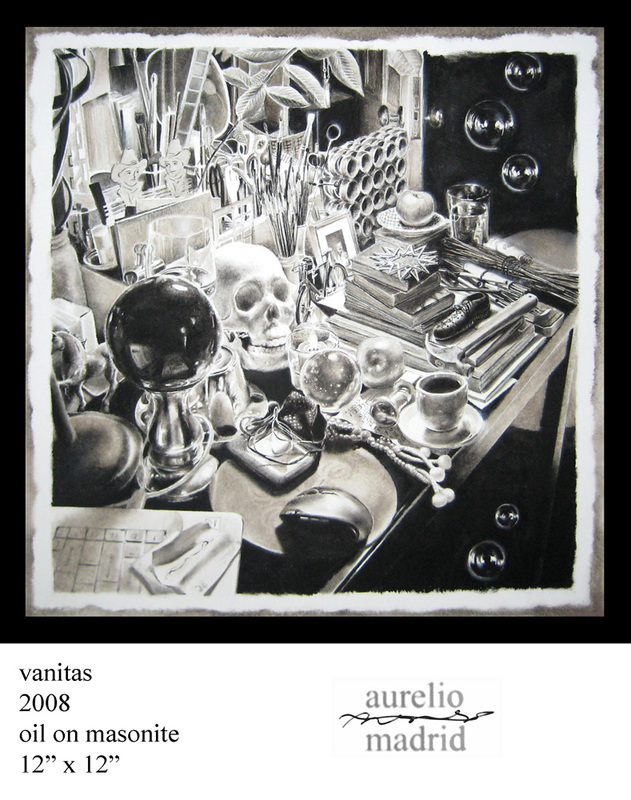 Other details of the competition have to do with using Torrit Grey, black, & white oil paint only. This will/should produce a value only painting. Value can be black & white & every shade in-between. Colors can also have value; say a light–green to a dark-green. Essentially artists are being asked to create a black & white painting.